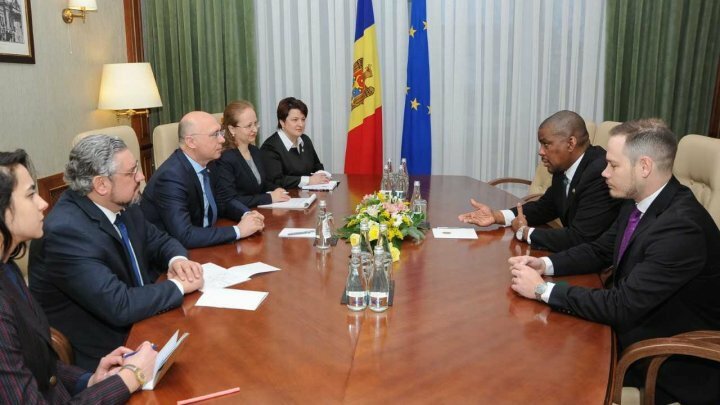 Prime Minister Pavel Filip met with the US Ambassador to Moldova Dereck J. Hogan today. The officials exchanged views on the conduct of the electoral process in the Republic of Moldova. The prime minister reconfirmed the government's determination to ensure a fair, transparent electoral process and in accordance with all international norms. To this end, several foreign observers were invited to monitor the elections, and cameras were installed in the polling stations. Moreover, the prime minister called for an objective attitude from observers and partners. Prime Minister Pavel Filip and Ambassador Dereck J. Hogan also discussed the dynamics of the Moldovan-American dialogue, including boosting cooperation in the fields of information technology and cyber security.